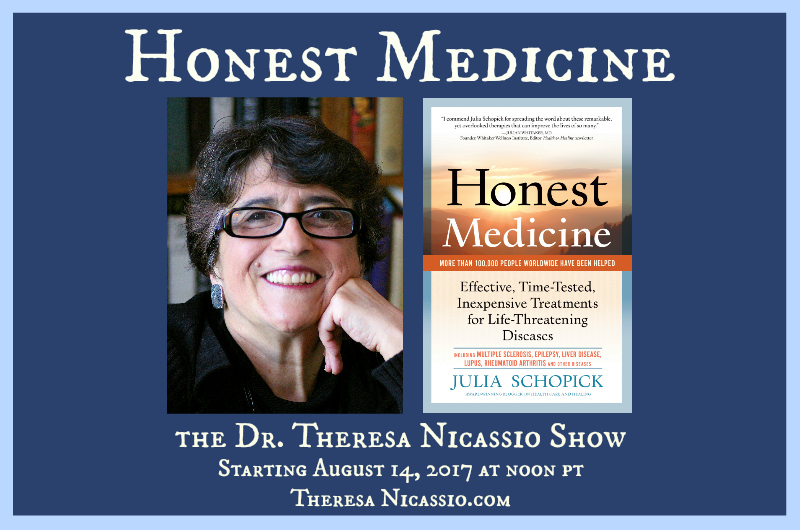 Medical advocate Julia Schopick talks about HONEST MEDICINE & about treatments for life-threatening diseases that most doctors don’t know about. Hear courageous medical advocate, award-winning blog creator, and bestselling author Julia Schopick talk about HONEST MEDICINE and about what she’s learned about treatments for those with life-threatening diseases that most doctors don’t know about. 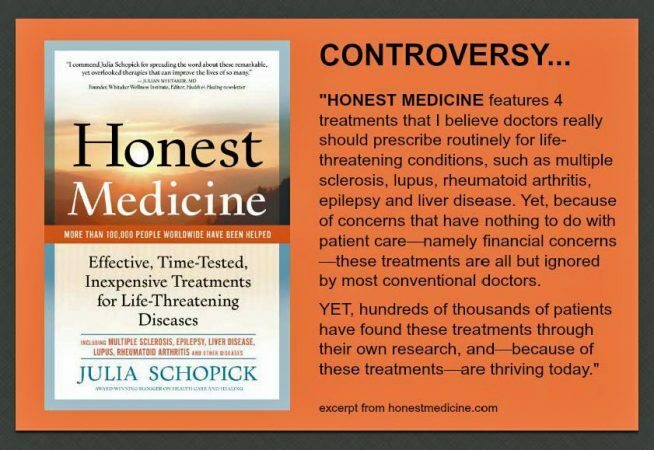 Julia Schopick is a controversial health advocate, bestselling author of Honest Medicine: Effective, Time-Tested, Inexpensive Treatments for Life-Threatening Diseases and the creator of the award-winning blog, HonestMedicine.com. When her husband Tim Fisher became ill in 1990 with a cancerous brain tumor and was “given” 18 months to 3 years to live by his doctors, Julia found treatments that extended his life significantly. Julia became his medical advocate and began writing on topics relating to health and medicine about treatments, like the ones she found for her husband, that have shown promise in the treatment of patients with life-threatening diseases like her husband had, but that doctors don’t know about. 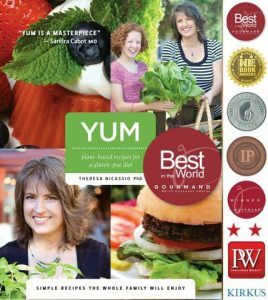 Having been a public relations consultant and published writer for more than 20 years, Julia’s mission is to use her writing and public relations skills to inform the world about little-known but promising treatments via her website, her presentations and her book and to empower people in their health choices. Through her writings and her blog, HonestMedicine.com, Julia’s goal is to empower patients to make the best health choices for themselves and their loved ones, giving them the gift of information about treatments that they might want to consider using that they otherwise would not likely ever know about. 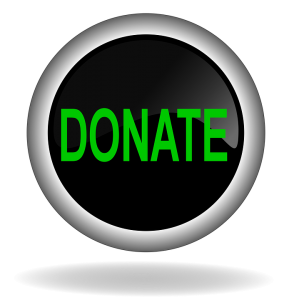 Julia’s articles and columns have been making their mark in medical literature. 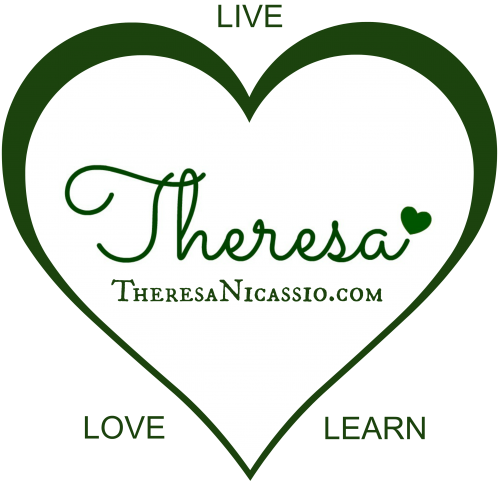 Her writings on health and medical topics have been published in American Medical News (the AMA publication), SEARCH (the newsletter of the National Brain Tumor Foundation) and Alternative and Complementary Therapies. 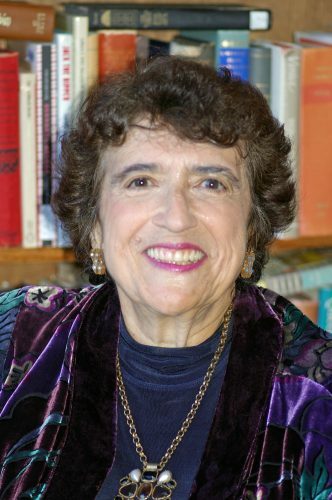 Her work and essays have also been featured in the British Medical Journal, Modern Maturity, and the Chicago Sun-Times. 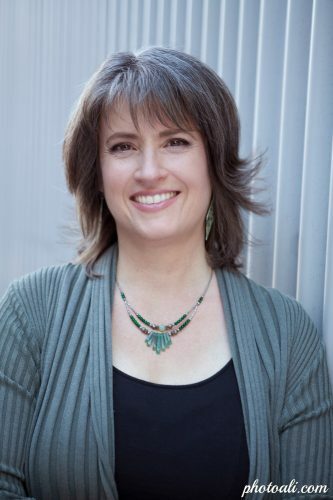 A seasoned radio talk show guest who has appeared on hundreds of shows and is often a return guest, Julia now also coaches other authors how to be effective radio show guests, and how to use Facebook to spread the important messages of their books. In addition, Julia invites you to contact her directly if you would like more information about Honest Medicine.